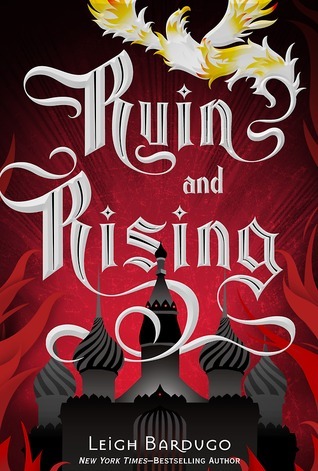 Ruin and Rising is the third book in Leigh Bardugo’s Grisha trilogy. 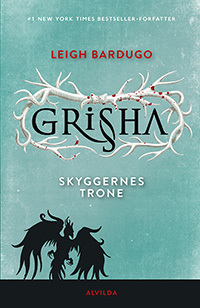 I really wanted to read this series before I read her Six of Crows duology (which I know isn’t necessary) and once I started this series I flew through it. 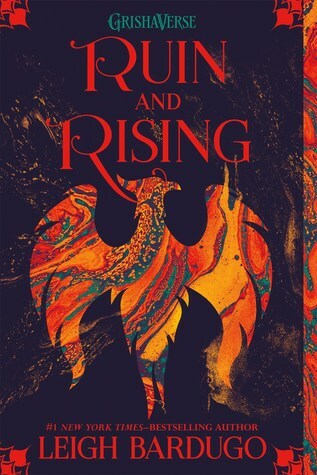 There will be spoilers in this review for the previous books in the series, Shadow and Bone, and Siege and Storm, both of which I have reviews up of so go check them out. 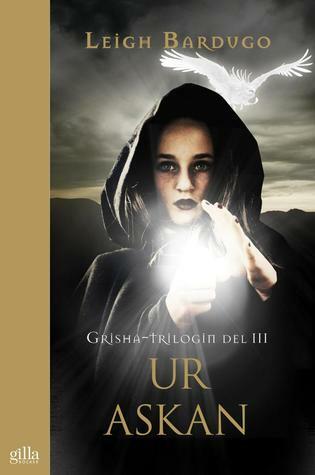 English – This is the cover I have and I like it. It fits in very well with the other covers in the series and it’s beautiful but it doesn’t really offer anything new compared to the other ones in the series. 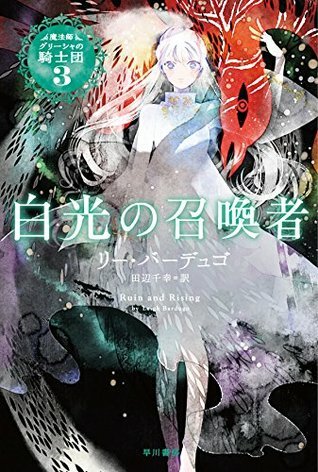 English – This is the new/revamped English cover, and I have to say that out of all these new ones this is my least favorite just because of the colour scheme. The other ones are a lot nicer in my opinion. Danish – The Danish covers remain favorites of mine. They are simple and beautiful, and I like that colour. 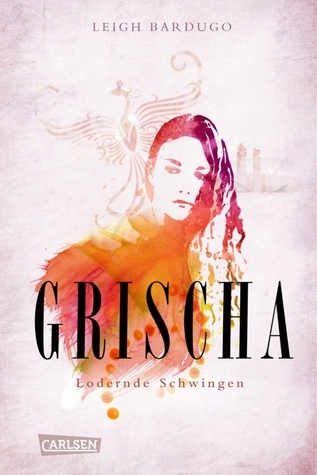 German – This cover fits in very well with the other German covers however I still can’t get behind the face on the cover because it’s so irrelevant. 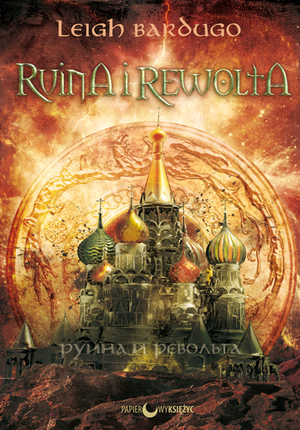 Polish – This is a nice cover, but it looks exactly the same as the Polish covers for the previous books in the series. Swedish – The face on this one throws me off, and I am not really sure how it fits the story. 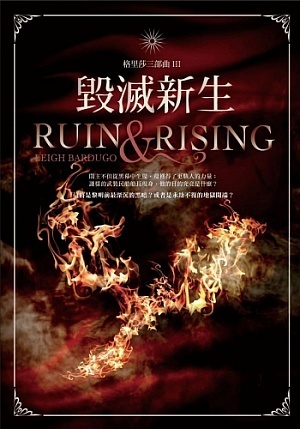 Chinese – This cover seems like a bit of a mess. The fire is interesting and I like the redish background, but it could be the cover of basically any book. It’s not very unique. Thai – I love this cover. 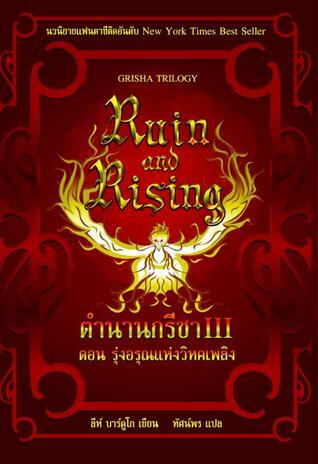 The Thai covers have never failed to impress me. It’s so simple and I like the golden gird on the front and the embellishments around the border. Japenese – This isn’t a bad cover but it doesn’t really fit the story. This was a very satisfying ending to an amazing series. I liked how the conflict was kept small and manageable by having small numbers and not having massive all out battle scenes. Well there was one, but the majority of the plot was about our small band of heroes which was nice to see. I also liked how we got to see more of what happened after the climax of the story, that ending was really heartwarming and haunting. Whenever I was getting slightly bored with the story something would happen to change this up. A lot of the plot twists weren’t things that I saw coming or expected. A lot of the things that led up to the big reveal were very unexpected for me. It was nice to be surprised and kept on my feet by the plot. As much as I enjoyed the battle being kind of small I do wish it was bigger. I feel like the stakes could have been raised so much and although I was dreading how much they would be raised I kind of wanted it. I am also kind of unhappy about how little of certain characters we saw after the battle scene. I want to know what happened to them too.